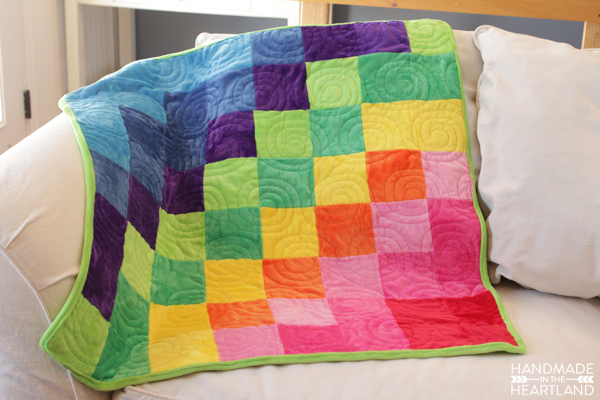 Have you used cuddle fabric before? Its like the most soft luscious fabric that you’ll ever touch. 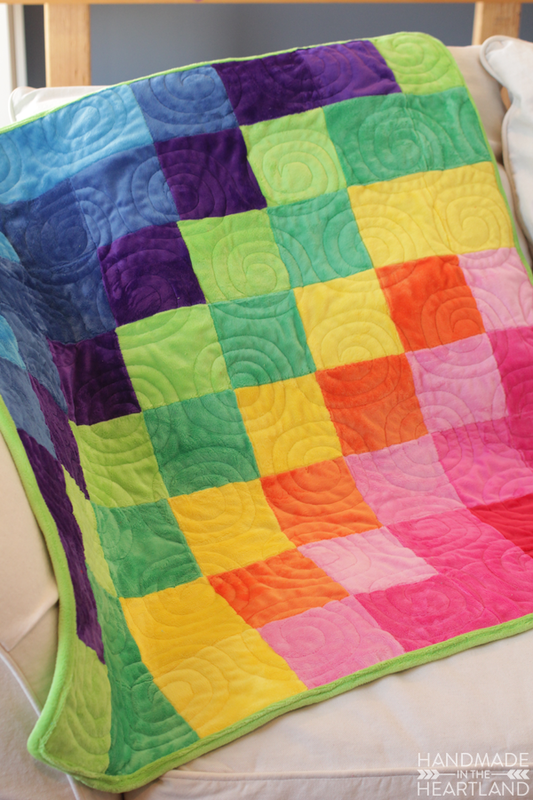 I made this fun bright rainbow quilt for the great cuddle cake challenge I am participating in with the other Fairfield world master makers. 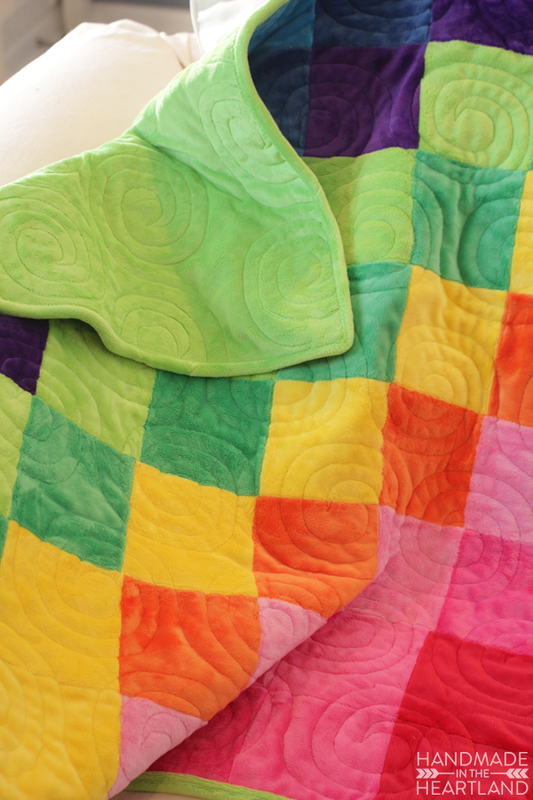 We were all given the same brights stack of 10″x10″ cuddle squares and yardage of the bright green. I have to say I was skeptical about the color palette before finishing this guy but I love the way it turned out, its totally brightening my winter mood. 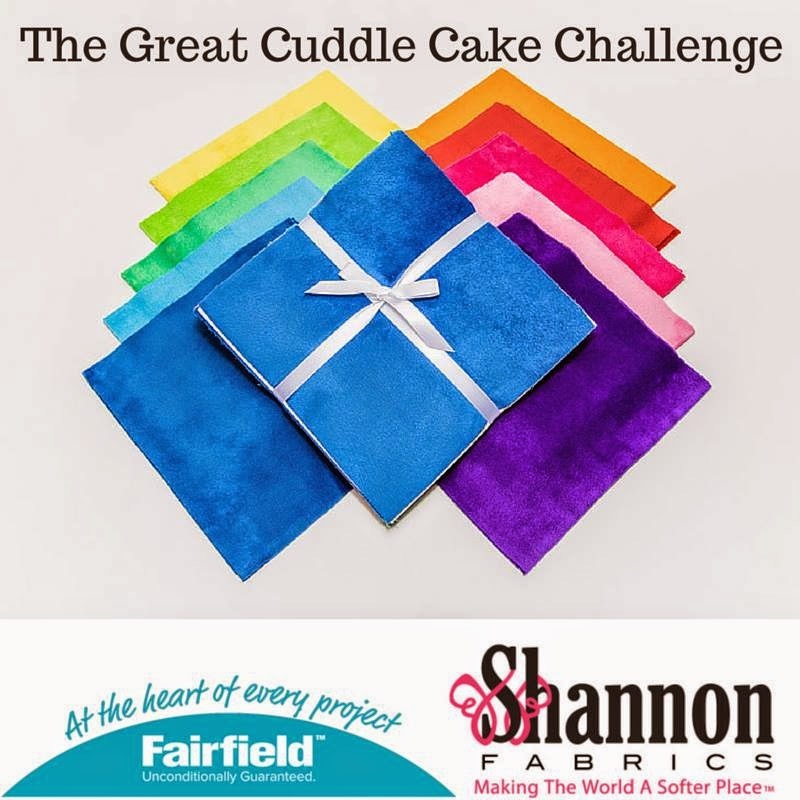 Sewing cuddle can be a little bit of a challenge so its nice that Shannon fabrics created a page on their website devoted to tips and tricks of how to sew with it. You can see that HERE. 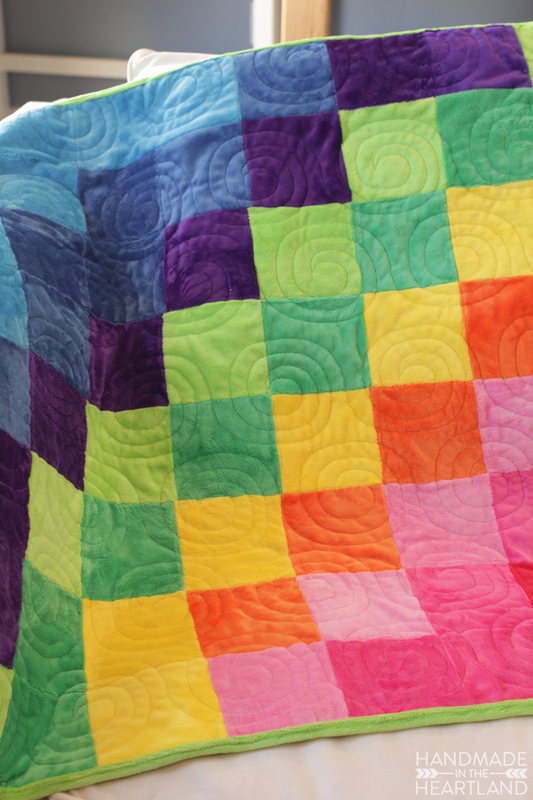 I especially love THIS document- 7 things you need to know about cuddle fabric. These fabrics came in a cuddle cake which is a package of 20 10″x 10″ squares. 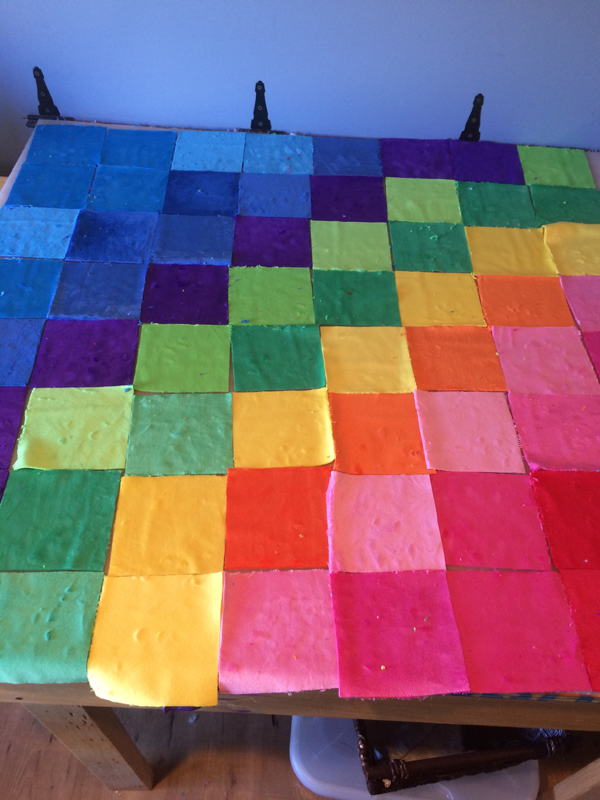 To make this very simple quilt all I did was cut each of the 10×10 squares into quarters, so I had 5″x5″ squares. Super easy cutting, only 2 slices with the rotary blade and squares were done! 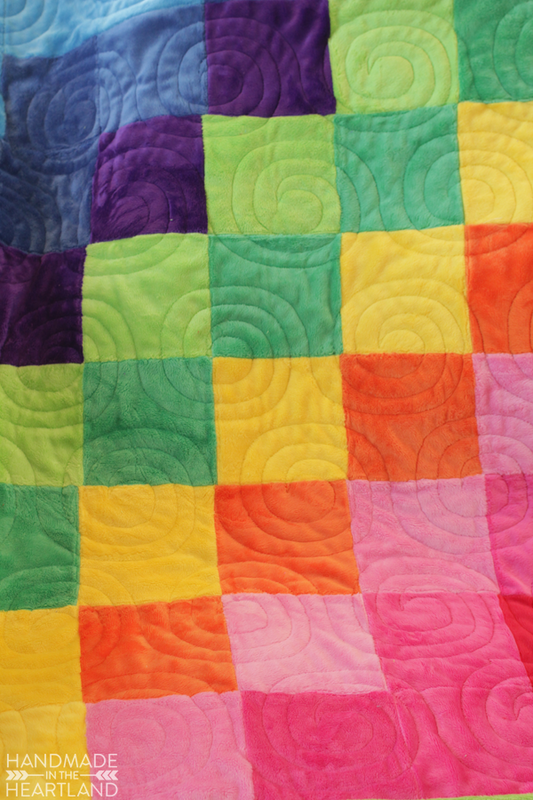 My quilt is a throw/kid size, I did 8 rows across and 8 rows down- so finished its a 64″ square. 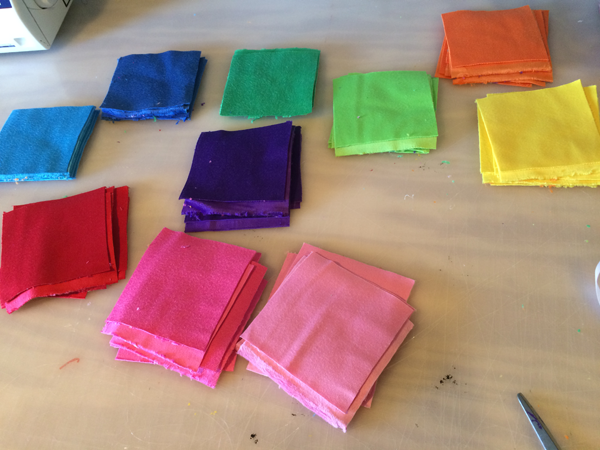 After I had all my squares cut I laid them out on my table to figure out how I wanted them to look. I decided to just do a simple diagonal color wave and played around with the pattern for a little while all laid out on my table. After that I sewed the rows together across and then sewed each sewn row to the next one from top to bottom. The top is so simple and the squares are large that you can easily whip this out in a few hours. I then took it over to my friend Mary Lu’s house to quilt, she has a long arm machine. I used my favorite fairfield world Nature-fil batting in the middle. I love how the squiggly circles contrast to the squares, I think it turned out so cute! I bound it with the same green cuddle as the backing and Voila! finished. I’ve said it before but I am not a master quilter by any means- this is only my 4th quilt I’ve made, so don’t look too close! 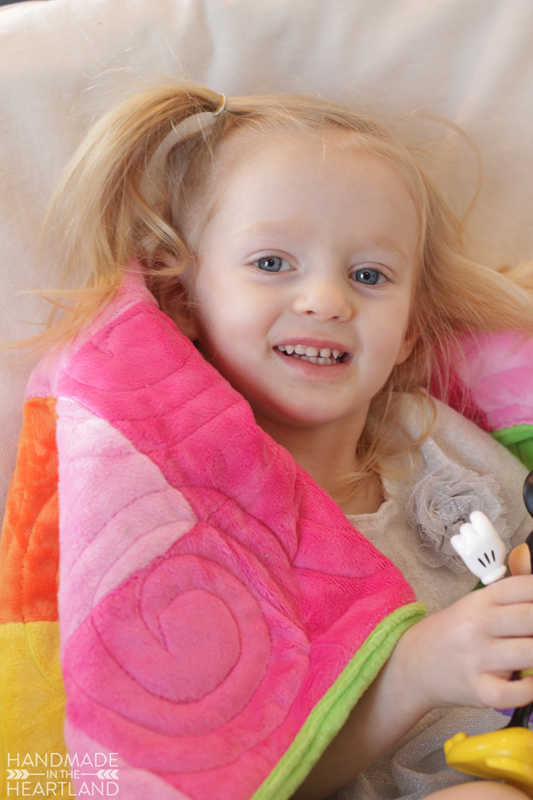 My kids LOVE soft fabric, Max has been attached to his lightening mcqueen blanket that is the super soft fabric for 3 years and June loves her white soft blankie but I think she’s going to be attached to this one as well. 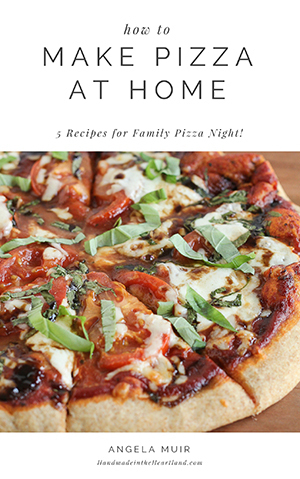 Its a great size for kids, big enough to fully cover and small enough tote around the house. 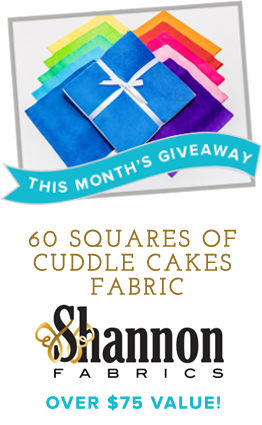 You can totally win some cuddle fabric- 60 squares of it! Enter the giveaway below! 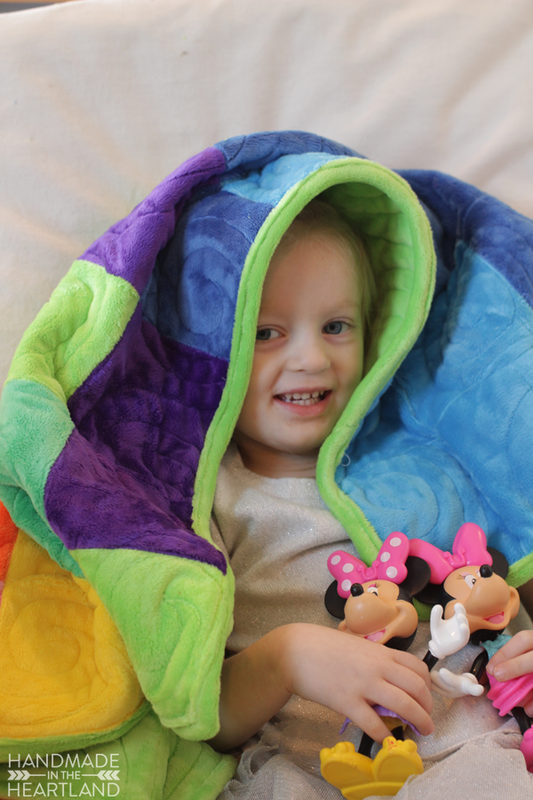 Here are some other great cuddle fabric projects by the master makers at Fairfield world!